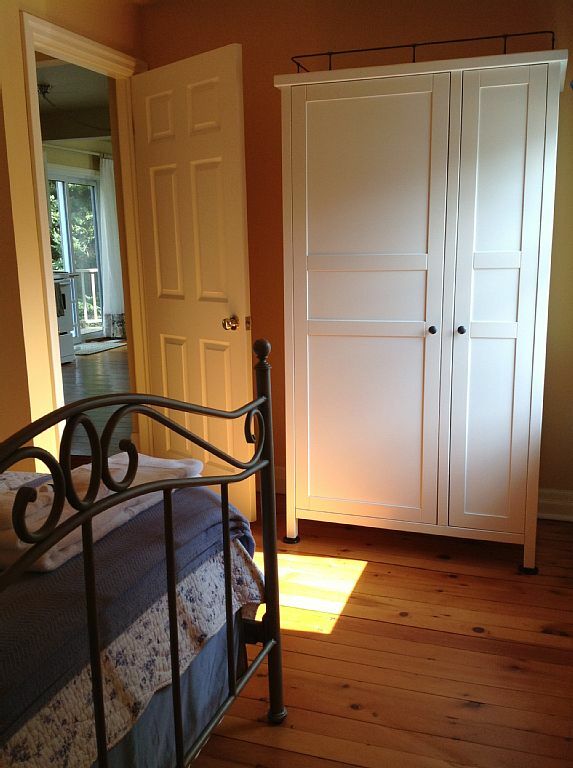 Victoria Garden Cottage | Toronto Short Term Rental Property Management Corp. The house was very cute and supplied with all the necessities (the towels and toiletries on the bed were a nice touch.) The home is in the cutest neighborhood and in a perfect location. We were able to leave our car there all weekend and walk everywhere. There was even a grocery store (Valu-Mart) about a 10 minute walk away where we were able to stock up on some breakfast items. Owners were very easy to reach with any questions. There were five of us who stayed there for the weekend, it was fine because we were hardly in the home, but if if you plan to spend a lot of time in the house it may be a little tight. The deck worked out great, we loved hanging out there in the mornings with our coffee and the backyard with the creek was just delightful. Overall had a great experience and Niagara-on-the-Lake is such a charming town. We also did a cycling wine tour with Grape Escape which I would highly recommend if your staying in the area, such a blast! Review #23551814 A dog positive experience. Woof. We found the house to be quite charming and relaxing. It’s a 10-minute walk to the Main Street with shops. The house was reasonably clean. But there were a few obvious omissions. There was no toilet paper. Fortunately, we arrived early enough so we could buy some. Second, the grill was very dirty from a previous guest, so we cleaned it. Otherwise, an enjoyable stay. And very nice for dogs!! 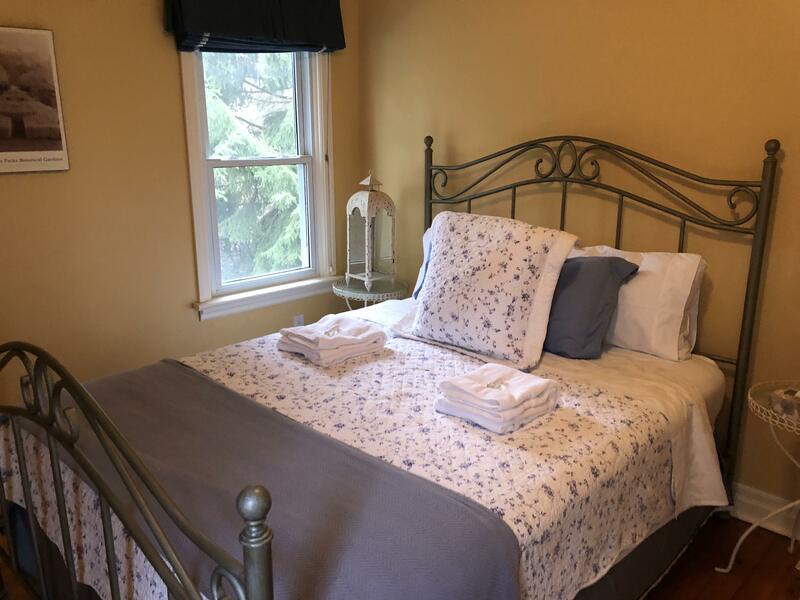 When visiting NOTL in the high season, finding parking near Queen St can be an issue - this cottage is close enough to easily walk back and forth (even with all of your packages)! And it had plenty of off-street parking - so you are all set to park and forget about that challenge! The cottage was clean and very well equipped. 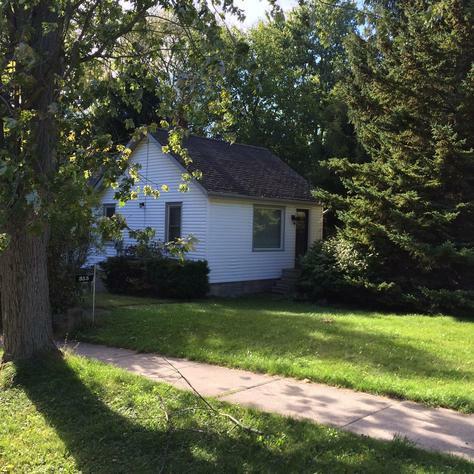 Plenty of room, and a quiet wooded back yard with a nice deck (and even a tiny babbling brook)! Great value, great location! This little home was perfect for our stay in NOTL. It's a 10-minute walk to the main strip and everything you need. The check-in process was smooth, with someone meeting us at the home, and there's a garage where we could safely store our bikes. Our stay was wonderful and we'll definitely be back! Clean and the location was great. Clean and loved the town. Pooches enjoyed their visit. Great location and a great host. We didn't spend long here but it was a fantastic place. 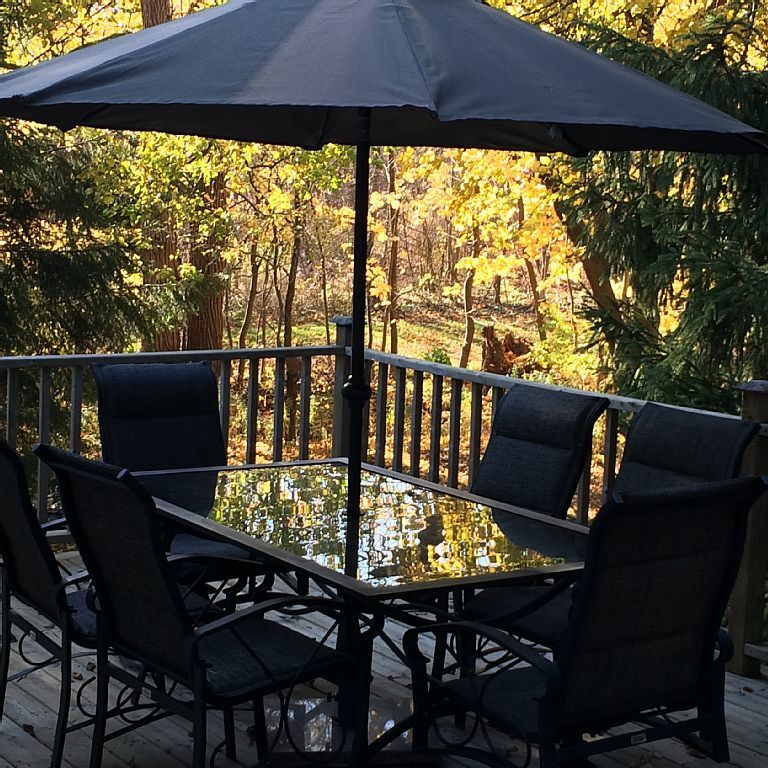 Great location, friendly host, lovely deck. Very nice location. Very quick response. Amazing little place with a great private deck in the back. A great experience. A lovely, quiet location, a short walk from restaurants and theatre. We visited during the heat of the summer, and appreciated the cool, roomy deck with bar-b-q, overlooking mature trees and green space. Great location and a good size for four people (five might be a squeeze). Kitchen was well stocked with cookware in case you want to avoid the cost of a NOTL restaurant. Comfortable and simple. Comfortable place to stay in an amazing location. Beds were comfortable and the back deck was amazing! They were extremely prompt and effective at communicating and accommodated an early check in and late check out. Great little place!!!! Highly recommend!!! We had a lovely stay and enjoyed our girls weekend in NOTL. The place is so charming and very clean. It has two cozy bedrooms (The beds are so comfy!) and one pull out in the living room area. It accommodated the 5 of us perfectly. 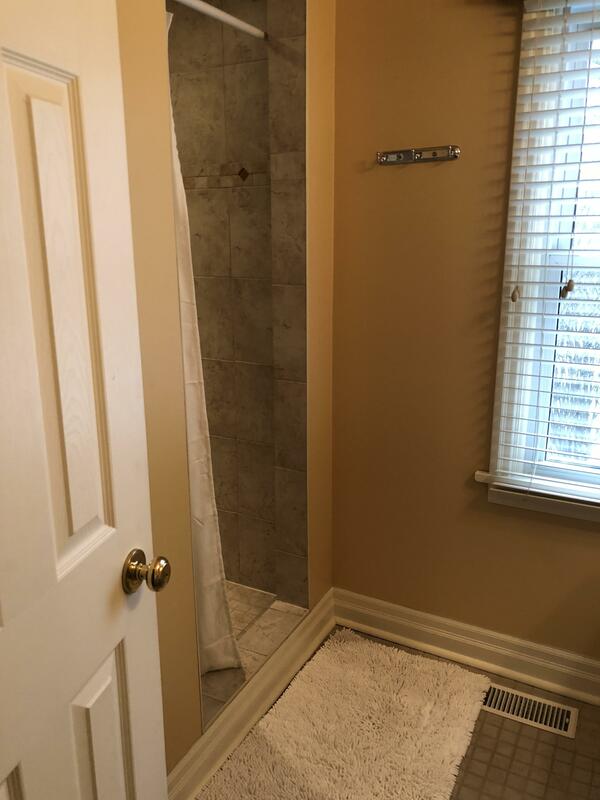 The location is ideal as it is walking distance to everything! The yard and back deck are beautiful, and we enjoyed sitting outside sipping coffee and soaking in the unseasonable warm weather. Mark was a great host. He was very timely with his responses and very gracious in accommodating our every need. The entire experience has been very enjoyable and I would highly recommend this place to anyone. Thanks again! 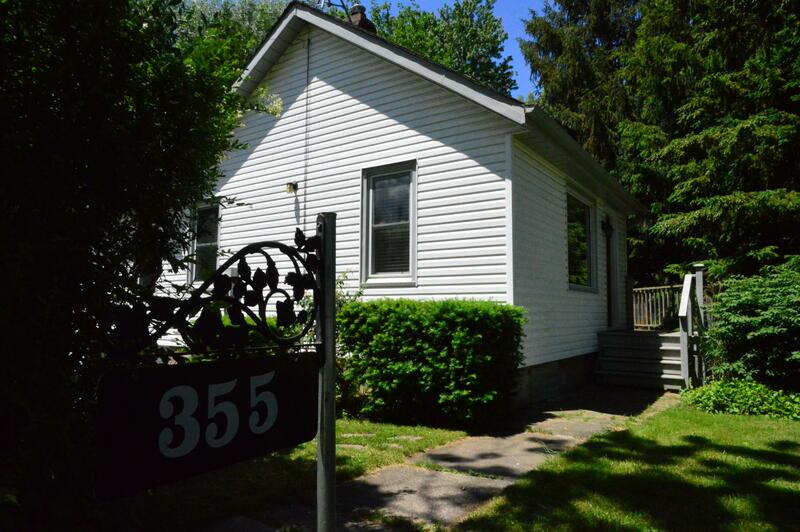 Lovely little place that is situated within walking distance to the main strip in NOTL. Easy access to wineries, etc. The beds are super comfortable and the patio is very nice! Everything is very well kept and clean. Mark was very accommodating with check-in & out times. Very cozy for 4 people. Just so you know you are expected to pay a 13% tax upon arrival. It does say this in the listing however I somehow didn't notice it until a day before our arrival and was caught off guard. I've been using this website for many years and never have been expected to give more money upon arrival, but the times are a changing I suppose and I wouldn't put the blame on the owner in this instance. Airbnb should make the final price as transparent as possible, so just be careful about that. That being said, Airbnb was kind enough to refund the added cost which was very generous and I do fully recommend this property! We had an amazing stay at Mark’s cottage. It was perfectly clean when we arrived. Mark was very quick to respond to our questions and was very accommodating at check in and check out. This place was only a 5 minute walk from Queen St. As soon as we arrived we were able to keep our cars parked in the driveway. You won’t be disappointed if you choose to stay here. We will definitely be back! This was our first experience with airbnb. Very impressed with the facility and host. Communication was quick and clear. Facilities were clean, well-maintained, and in a great location. Would highly recommend staying here to someone else. Thank you for your feedback, we take our guest reviews very seriously and while we never have received less than 4 or 5 stars on this property, your comments are appreciated. It's never been our intention to portray the kitchen as a chef's dream but rather a cottage kitchen as identified in the description, and the photo's clearly identify the size and what is to be expected. Having said that, we really cannot do much about adding to the kitchen given the space. We prefer keeping the home as a quaint cottage that we advertise it as. The property was professionally cleaned prior to your arrival and from your comments you felt so too - for that I thank you. We do leave cleaning products in the home for dishes etc. As stated during your check in and in the homes instructions, we ask that you notify us immediately, should you need anything during your stay. I really wish that you called us or mentioned something during the walkthrough and we would have supplied any additional cleaning products that you required. In our experience, most of our guest are not very interested in cleaning and we are concerned about children getting into dangerous cleaning products. We will however, add some non-toxic cleaning products as a result of your feedback. The house was CHARMING! Bedrooms so well appointed. The house was very clean and well stocked. The town was beautiful. Mark accepted both my dogs and was easy to communicate with 5 Stars all around. Thank you. Mark. Thank you again. I loved the house and town. I hope I can find my way back to Niagara On The Lake. Great location within walking distance to town! Mark was very nice. Had a great time! House was clean. We enjoyed the deck and the kids enjoyed the yard. Perfect location within walking distance to town. For the two of us, both of whom thrash around a lot at night, having the two bedrooms was a godsend. Gorgeous cabin, very well maintained, quiet, and yet within walking distance of the town center. Do make sure you get the combination for the door. We didn't, and having just the one key was an inconvenience. I would definitely recommend Mark's place to anyone staying in NOTL. It is in the middle of a beautifully scenic neighbourhood, a close walk to the downtown area of many restaurants and shops. We had a very easy check-in and check-out process and would stay here again. Mark was very easy to communicate with. Fantastic location in NOTL. We loved our stay. The cottage on Victoria Street was perfect for 4 adults. We were able to walk to our bike tour and to the restaurants and shops on Queen street within minutes. The cottage had everything we needed including a great deck/patio set to relax on. 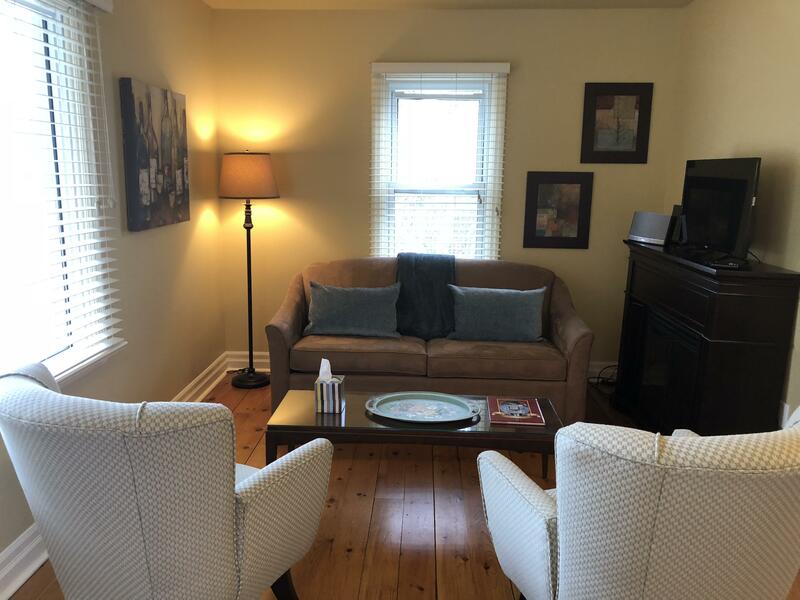 Cozy clean house conveniently close to the main areas of NOTL. All the amenities we needed. Great little house in a great location. The house is within blocks of the main shopping, eating, and entertainment district. The house is exactly as the pictures show. There are two nice bedrooms, a nice small kitchen and eating area, and a small sitting area. We loved the bathroom and shower, as well as, the great deck. Mark was very easy to work with and helped make our stay a great one. We would definitely book again and recommend it. A NOTL frequent flier, I generally stay at one of the hotels but I had my extended family with me so we needed more room. The Victorian Garden Cottage is FABULOUS....the outside deck makes you feel as though you are in your own little world. A perfect spot to pre-game before venturing into the village. Super clean, nicely furnished, great location -- about a 15-minute walk into town, quiet, safe....everything. There will definitely be a return trip. Thanks Mark for the hospitality. The host was very professional, made sure we were doing okay, made the check-in/check-out very easy and contributed to a great weekend get-away. 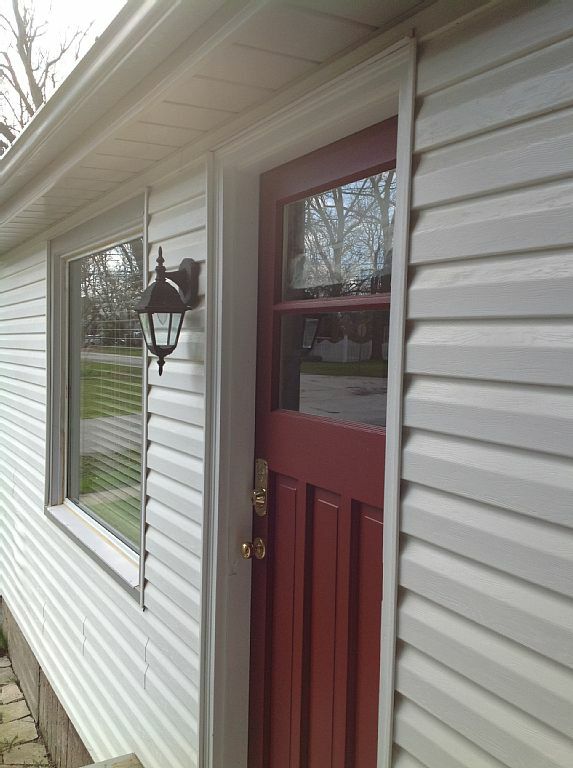 The cottage if perfectly nested in the heart of NOTL, has a great back-deck, clean/cozy inside! Couldn't asked for a better place in Niagara-on-the-Lake. Mark's place is lovely, we were very pleased with the place and the neighbourhood. Mark's place is very convenient to all the wineries. Mark's house was very organized and clean, both my wife and friends were very pleased with this experience. We would highly recommend this place to anyone. We will probably come back in the near future. Thank you Mark! Mark was waiting for us upon arrival and allowed us an early check-in (with early request) which we needed with a wine tour booked for the day. The cottage was cozy and clean and though we did have a slight concern about the thermostat, Mark came over immediately to make sure it was fixed for us without any inconvenience. The fireplace is a nice touch during winter! Everything about our experience at the cottage was perfect. Super-easy pre-trip coordination with Mark. Pristine, nicely-decorated, and quiet accommodations. Every small detail provided for, including discount cards to local venues. We were within easy walking distance of Queens Street too. Would stay here again in a heartbeat! What a wonderful cottage! We had a great visit at the Victoria Cottage! 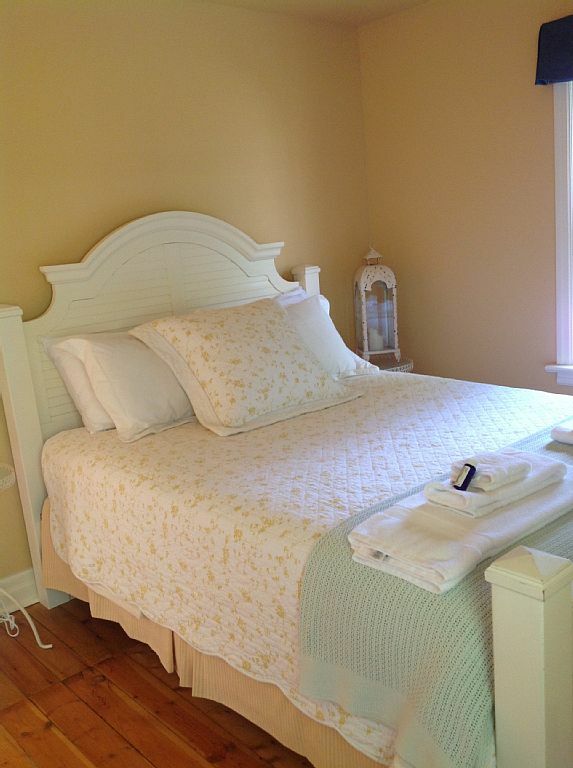 We highly recommend anyone visiting Niagara on the lake or the wine country in Ontario to stay at the Victoria Cottage! 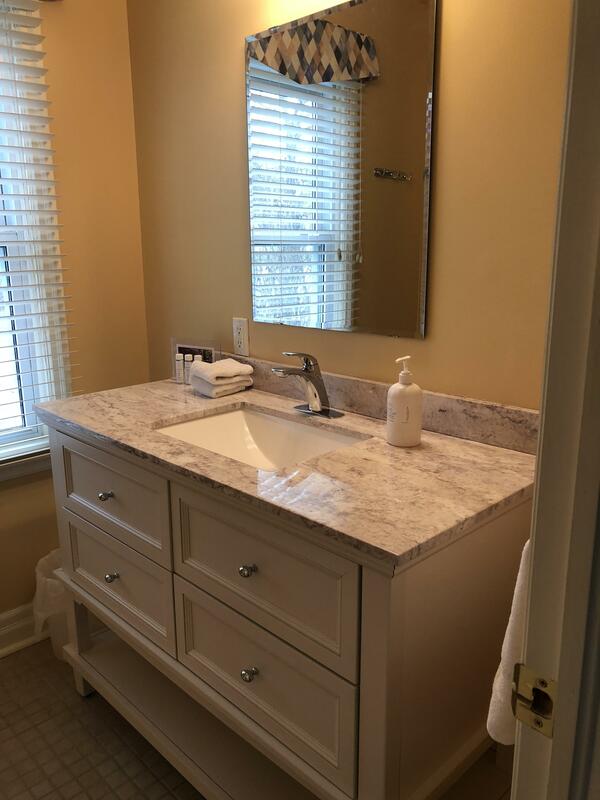 The owners have put a lot of time and effort into the remodel and beautiful appointments of this cottage and Mark who is the manager of the property made us feel so comfortable and at home, they thought of everything! And you will love the deck off of the back of the cottage it's your little own private oasis surrounded by spruce trees which makes it a very nice place to grill out or eat dinner! Great location, very easy communication. Would definitely recommend. We booked the Victoria Cottage for the Thanksgiving weekend. Upon arrival, we realized we had made an error in the dates we chose. Mark came to our rescue and found us another property to stay at - the equally lovely Five Point Cottage. 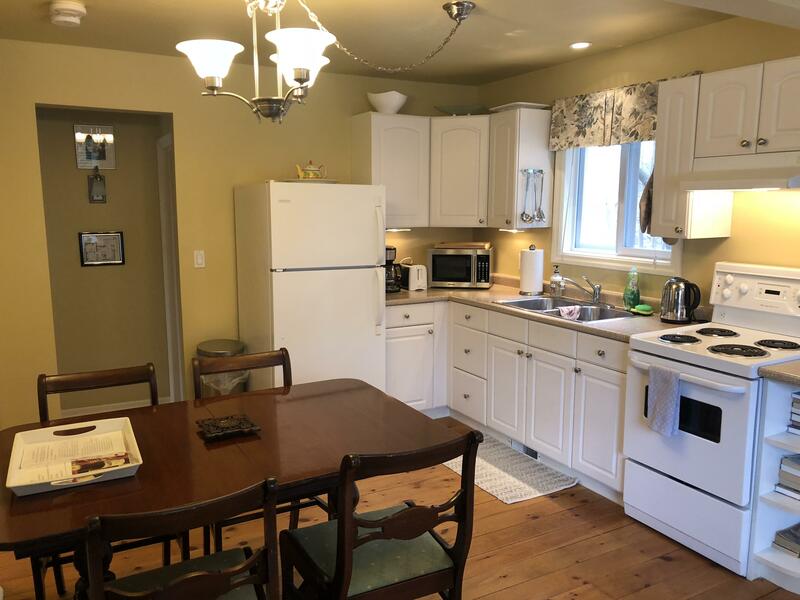 The Victoria cottage is very quaint, clean, beautifully appointed with a well stocked kitchen and lovely backyard. I would highly recommend it as well as the service from Mark. A beautiful little cottage in the wonderfully picturesque town of Niagara on the Lake. 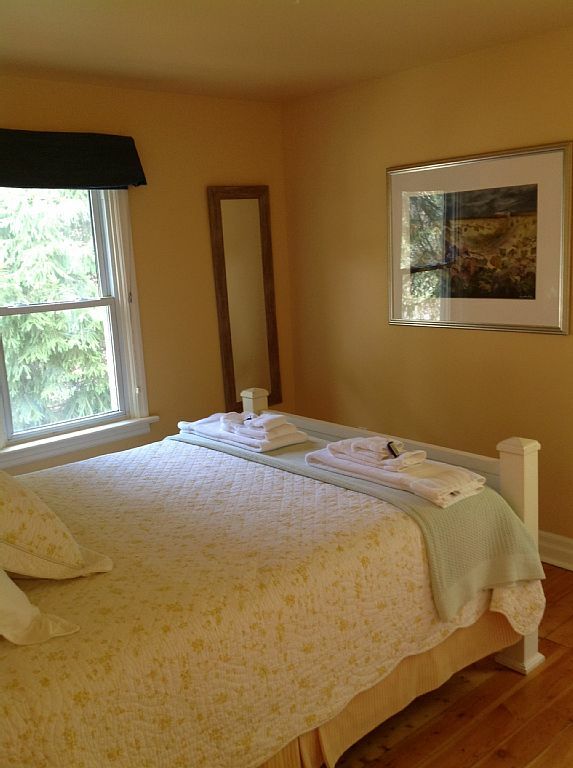 The cottage is intimate, fun for staying with close friends or a small family. Beautifully rustic and charming; warm on a crisp Autumn day and warm in charm. If you're in town for a wedding or the Shaw, it's closely located for a nice walk to mostly everything. Very clean, the exterior is also far more charming than can be captured on camera, especially the porch and back yard; which would be very appealing during the summer months. Looking forward to the next visit. Mark was very prompt to meet and welcome us. Everything we needed was in the home. It was a great place to stay! Close to all the wineries. Beautiful patio and bbq in the back. Mark went above and beyond for our stay. The cottage was very clean and comfortable provided more than enough for a stay. Definitely a recommended option! Centrally located ! Quaint two bedroom . Very well appointed with all the extras . Private deck . Enjoyed our stay . My friends and I just returned from our trip to Niagara-on-the-Lake for a girls weekend. There were 5 of us that stayed in the house. While there is a pull-out sofa to accomodate more than the 2 queen beds, I would recommend limiting your party to 4. It's definitely cozy, but in a good way and stocked with everything that you would need (extra paper towels, toilet paper and hand soap). We loved spending time on the deck, which includes a comfortable table and chairs and you definitely have lots of privacy. The property manager was extremely responsive and when we blew a fuse in one of the bedrooms, he took care of it for us. My only complaint is that I didn't think the beds were that comfortable. I would recommend adding a foam top or something to make them a tad bit softer. On the other hand, the pillows were great! The house doesn't have much charm from the outside, but the inside definitely makes up for it. We walked into town each day and it took all of 5-7 minutes to get there. Definitely a great location! We fell in love with Victoria Cottage and were definitely sorry when our time there ended. 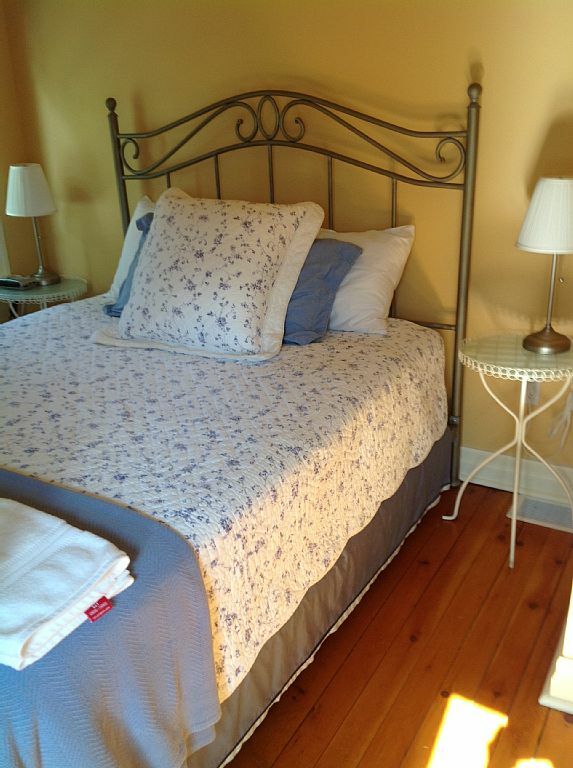 The cottage is beautifully decorated and absolutely clean and spotless. The kitchen is very well equipped and there is even an outdoor grill on the patio which we made use of. The location is fantastic - close to "downtown" but so private on the back deck (incredible yard) that you feel you're in your own little world. Mark, the property manager, was fantastic - we mentioned that we wanted to barbecue one night and he even dropped off a barbecue lighter for us having noticed that there wasn't one in the drawer! Check in and out is quick and easy. Compliments go to the owners for creating such a charming residence and to Mark for being a fantastic property manager. The Cottage was perfect for what we wanted. It was close to the main street (Queen Street) and it was very affordable compared to all other options for lodging. Mark was a great host and he met all our expectations. He greeted us at the Cottage and let us check-in when we arrived as the place was ready. We will definitely be looking to stay here on our future trips to Niagra-on-the-Lake. Great host and a great time. We had a lovely stay in this charming cottage. It was exactly as the pictures. Mark met us upon arrival and gave us a quick run down on the amenities. The backyard was really beautiful and was so nice to cook meals and eat outside in complete privacy. 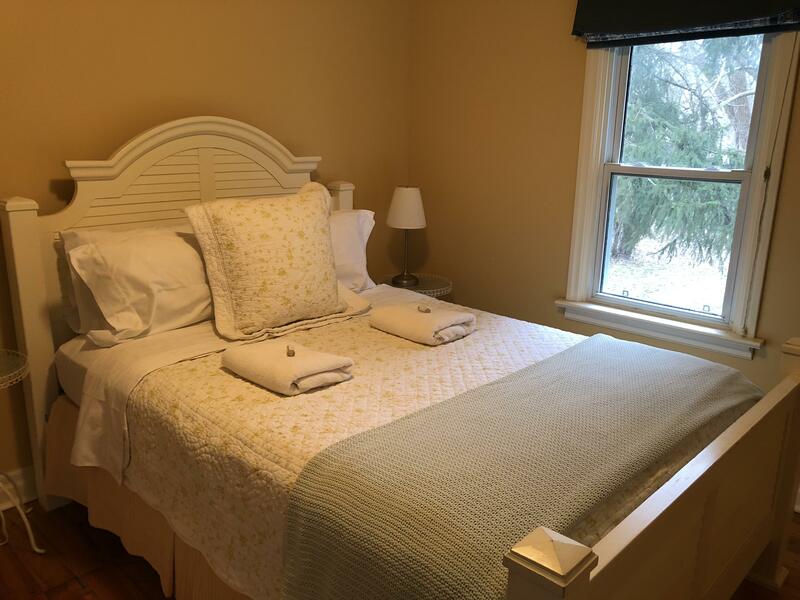 The cottage is ideally located - just a few minutes walk to the main street in Niagara-on-the-Lake, we rarely got in our car. Charming stay and would definitely stay again. Mark was so easy to work with. He was always quick to reply and was both professional and friendly. Great hospitality. The cottage was exactly as advertised. Clean, cozy, & cute. 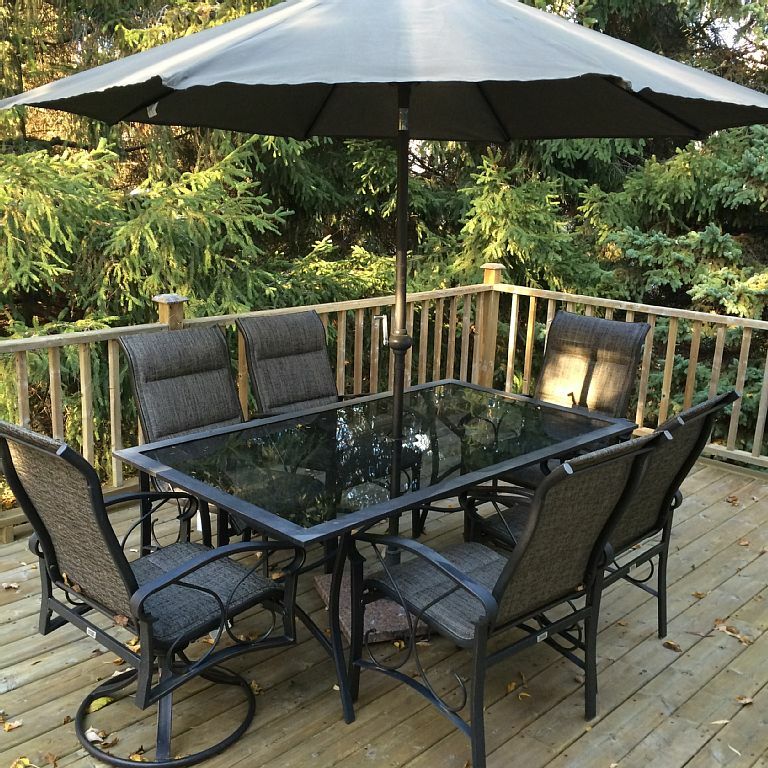 Great backyard with deck & bbq, walking distance to everything. Will definitely stay here again for our annual wine & bike tour.